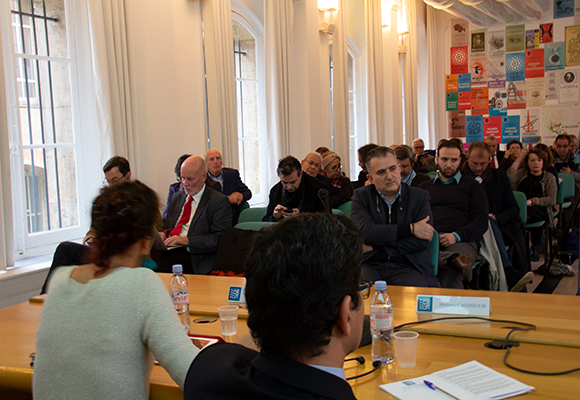 The Paris office of the Arab Center for Research and Policy Studies held an academic symposium on 28 November 2018 in the French capital. 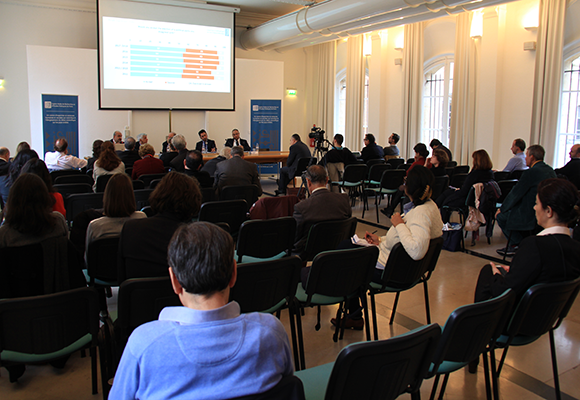 The research centered on the topic “Arab-European relations today”, with contributions from renowned Arab and European scholars from around the world. The symposium is part of a range of academic activities aiming to shed light on Arab current affairs and relations with others. These activities further the Center's vision and objectives, which are based on its interest in Arab academic research, studying Arab relations and enhancing Arab knowledge and intellectual production to Europe. The symposium began with a keynote speech by the director of the Paris Center, Salam Kawakibi, who asserted the importance of the symposium at a time when European and Arab academic collaboration and cooperation is so necessary, and Europeans need to be made aware of Arab academic production in humanities and social sciences. François Burgat thanked the center for its confidence in him as president of the administrative council and indicated the importance of this symposium in promoting intellectual knowledge between Arab and European countries. In this context, he stressed the importance of the step taken by the Arab Center to mark Euro-Arab relations on its research agenda. It is an important and necessary step that contributes to bridging the gap in Euro-Arab relations, especially with the rise of populism and right-wing extremism. He also stressed the importance of the role that the Center will play in the process of spreading awareness of Arab societies. Tarek Mitri also gave a speech, in which he detailed Euro-Arab relations beginning with the Arab-European dialogue initiative of the 1970s, based mainly on French policy toward the Arab region, which crystallized after the October 1973 war and the oil crisis that accompanied it. He pointed out that this dialogue was launched at the initiative of French President George Pompidou (1911-1974), and the parties were the League of Arab States and the European Economic Community. This initiative was based on a profound review of the nature of Arab-European relations and their re-establishment on the basis of equality and mutual respect for interests. On the other hand, this dialogue was a joint strategy based on the attempt to establish Arab-European cooperation to confront American policy in the Near East. 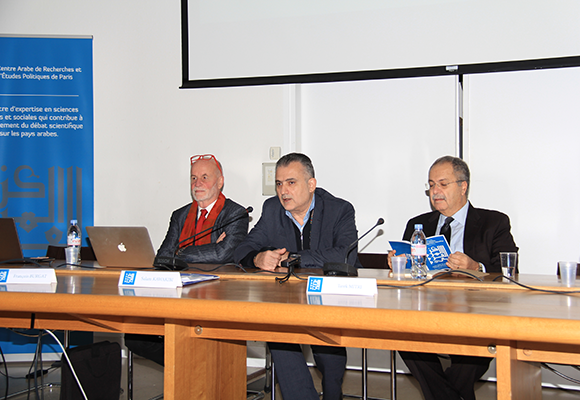 Mitri went on to discuss the transformation of European-Arab relations through partnership projects, such as the Barcelona process and the European Neighborhood Policy, and their implications in the Arab region. 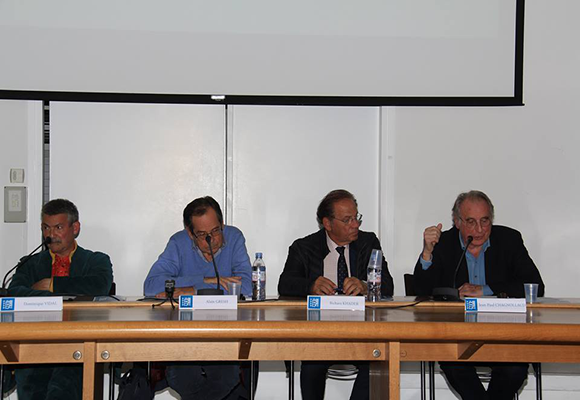 The symposium was divided into four panels: Europe and the Democratic Transition in the Arab Region; The Role of the European Union in the Process of Democratic Change: Case Studies of Tunisia, Egypt and Syria; the Dimensions of Development and Economic Migration; and the European Union and the Palestinian Cause. 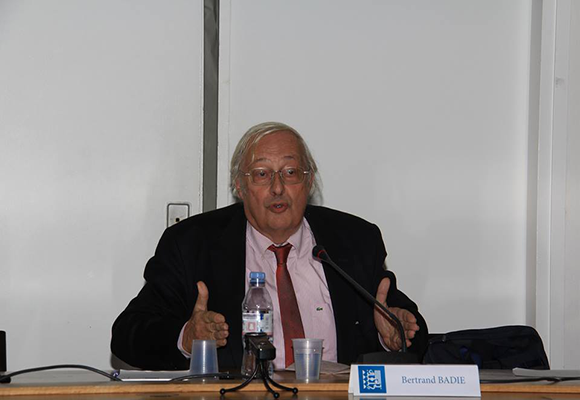 Vice President of the administrative council, Bertrand Badie concluded the symposium with a short lecture. He pointed out that it is not possible to analyze the international system by merely adopting theories formulated by the West. In this context, Badie stressed need to turn a new page on Euro-Arab relations and to start establishing new relations far-removed from previous ones based on the theories of international relations formulated in the North in order to understand the South. He stressed the importance of studying the problems of the Global South and its crises, based on the reality of its peoples, not based on the views and interests of the Global North. For more information on the Paris branch of the ACRPS click here.